Discover how to simply and effectively design and roll out a successful content plan in line with your business objectives. Serendipity is a wonderful thing. But unfortunately not many of us have the luxury of living life on a whim in search of it. We need to put some degree of thought, structure and planning into pretty much everything we do. I mean … would you consider taking a road trip without at least first charging your mobile device, downloading Google maps, ensuring there’s cash in the wallet, change of clothes and basic sustenance? You might harbour dreams of doing a Kerouac – but let’s face it, not that many of us could cope with the reality. And so why do so many content marketers still not have a fully defined content marketing plan in place? Findings from CMI’s B2B content marketing Benchmark, Budgets and Tends 2017 reveal that although a whopping 89% of B2B marketers use content marketing, only 37% of them have a documented strategy. A further 41% state that they do have a plan … but crazily … it’s not documented. If a plan is not documented how can its effectiveness be measured and how can the rest of an organisation understand and contribute to it? If it can’t be accessible or measurable – is it really a plan after all? The danger of leaving your content to happenchance is that although the outcome could be fortuitous it could also be bad … very bad. So defining some sort of plan and documenting it before embarking on a content journey would seem … well … good common sense. It doesn’t have to be complex, costly, cover too long a period of time, too time consuming to generate or written in stone – in fact ensuring it remains flexible to improvements will only increase its chances of success. And so for those of you that are maybe struggling to put that all important plan in place, or review and update the current one, here are a few guidelines to get you going …. In the first instance it will be crucial to tackle the ‘why’. Why have a content agenda? And to do this you will need to develop a sound understanding of your organisation’s overall business goals. Simon Sineck’s Golden Circle TED Talk gives a perfect demonstration for the importance of defining the ‘why’. See the following clip for the essence of his presentation. Inevitably for many organisations top of the business ‘objective’ list will be increased profit. But what goals are to be hit to achieve this? The next tier of consideration is likely to include some or all of the following; lead generation, customer experience, employee satisfaction, brand awareness, brand reputation, product innovation, improved service offering. Once you have grasped the essence of the overall objectives, you will need to understand how your organisation’s marketing strategy aligns to the business goals. What campaigns are planned and for what purpose? What are the time scales? What are the KPIs? What are the budget allocations? In essence your content strategy should mirror your marketing strategy – save that it specifically relates to content. So, outline the reasons for creating content in your documented plan. Why are you doing it (e.g. increasing brand awareness, increasing audience reach, educating, entertaining)? And what value are you hoping to provide to both your audience and your business through its generation? It will be worth including the risks involved. The obstacles you are likely to face. These may include things such as cost restrictions, skill limitations, time restraints. By documenting these, you will gain clarity on potential routes to take in tackling such hurdles. And what will the success of your content plan look like? Increased business leads, increased audience, increased engagement? And by how much? How will you go about achieving this success and importantly how will you measure it …. Creating a content marketing plan doesn’t have to be daunting. Here are some basic pointers to take on board and get you started. And remember there is no ‘one size fits all’ approach. Work with the understanding of what is important to both your organisation and your audience. Your buying personas should already be identified and in place for your overall marketing strategy, but it is worth revisiting them with content generation in mind. Do you want to expand or refine your audience when it comes to content? It may be worth undertaking some additional research into ‘who’ you are reaching out to and fully get to grips with exactly what is valuable to them, what they read and what problems they need solving. Look at your organisation’s overall customer journey too. How can you tailor content to the different stages of their journey that could help to inform, educate and impact decisions. Reviewing what content your organisation has historically produced will be important for defining what is worth using moving forward. This includes everything from website to blog posts, thought leadership, social media, emails etc. Even if it hasn’t been closely monitored there will be some indications of whether it has worked or not. Anything that shows good performance is worth keeping and importantly refining and improving upon. Ditch what hasn’t. And be prepared to introduce new channels to experiment with. What message do you want to get across? This should be aligned with the overall business objectives. Determine your tone of voice and keep it consistent across ALL content that your organisation delivers. Your messages and how you deliver them will drive the reputation of your organisation, and so it is important to take the time to work these through. Brainstorm content ideas and encourage the whole business to contribute. Ask your customers what they would like to see generated. Find out what exactly is valuable to them. Not everything is going to be relevant or possible to execute all at once so create a knowledge bank that you can tap into at anytime. And keep updating, refreshing and adding to it. In this way you’ll always have a resource on hand to back up content marketing efforts. Once topics have been identified you will need to work out how to deliver and how frequently to do so. Select a mix of content channels [blog posts, social media, website, podcasts etc.]. Those that are already performing well for your business will be most pertinent but be prepared to experiment with others. Learn how to re-purpose your content across a variety of channels too. Chunk thought leadership down into individual blog posts, break up further for social media activity. Get creative and maximise your content creation efforts. Do your keyword research and incorporate core ones in your copy to help increase reach. But be careful. It will be important not to litter your content with keywords for keywords sake. This will only serve to dilute the message, will be easily spotted by your audience for what it is and ultimately act as a complete turn off. Make sure keywords only enhance relevance and value. Determining when you will create and deliver content will also be a key feature of being able to measure it. How frequently will you generate a blog post – daily, weekly, monthly? How often will you post on social media – once a day, twice, six times? Newsletters – monthly, quarterly, bi-annually? And so on. Work with what is realistic for your business in terms of budget and resources as it will be important to maintain consistency in order to grow your audience. If you plan to blog weekly – make sure you deliver. Your audience will begin to expect it and look out for it. Which aspect of content marketing planning do you find difficult? Draw up a basic editorial calendar. It doesn’t have to be complex or reach too far into the future. Key elements to include will be topic, author, type of content, delivery channels, completion and publishing dates. See below for what the CMI include in theirs. And consider investigating the growing number of content marketing management systems that can help you with your planning, scheduling and monitoring of your content efforts. A key element of your content plan. How are you going to make your content stand out and engage your target audience? Expectations these days are high when it comes to impact. You’ll need to incorporate visual imagery, rich media and interactive elements if you’re going to get ahead of the competition and keep your readers’ attention. When it comes to publishing you’ll need to ensure that you are optimised across all platforms and that your content is easy to share via all major channels. It can become prohibitively expensive to outsource content creation so spend time to look for tools that can help. There are plenty out there that are cost effective, have great UX and require little or no training. And bear in mind that if you are looking for a one stop shop include in your criteria a platform that has a smart, granular, inbuilt analytics package. 87% of B2B marketers surveyed by Forrester say they struggle to produce content that truly engages their buyers. Consider paid promotion. But not with a specific aim of driving sales but rather with the aim of attracting interest. A less pushy in your face ‘buy, buy’ buy’ and more ‘please read, this is interesting, you may learn something’. More and more marketers are aligning their content marketing efforts to their overall advertising campaigns. This helps ensure that their content reaches an already defined target audience. If valuable, relevant and engaging your content will be received well. And finally don’t forget to document how you plan to measure your content marketing efforts. 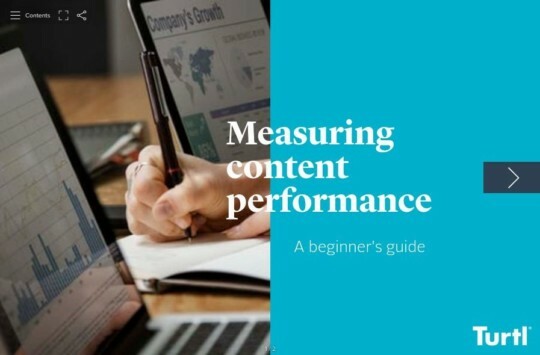 Align your content metrics with those of your organisation’s key performance indicators to ensure they match overall business goals. Use tools with strong and insightful analytics packages. The more in-depth insight you can achieve the greater the learnings and scope for improvement. Look for tools that can provide you with specific page performance, engagement metrics (what does your audience interact with, what do they share) and the ability to track individual reader journeys. 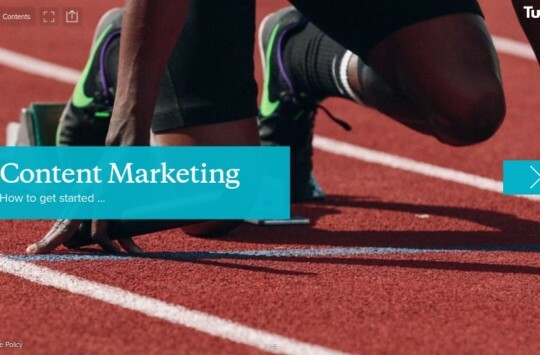 Your content marketing plan needs to remain flexible. Be prepared to review and improve on a regular basis. Use what you learn from your content performance to do more of what works and strike out what doesn’t. Make it a living document. And accessible to all those involved. And finally, don’t forget … keep asking ‘why’. There is no ‘one size fits all’. Each organisation’s content marketing plan will be different and dependant on your business objectives. Understand the ‘why’. Your plan should cover both your business and customer needs and the role content will play in helping to meet these. Ensure the content plan is documented. This will give clarity to goals and also enable effective measurement of content success. Share your plan with other teams within your organisation, especially sales. Having the whole business on board and aligned will increase chances of success. Measure the effectiveness of content that is produced. Refine and improve. And subsequently review and update your plan on a regular basis.